36 name plates per package 9 each of 4 colors 9 1/2" x 2 1/4"
Personalize doors, desks, seats at the table, cubbies, or folders with these colorful name plates. 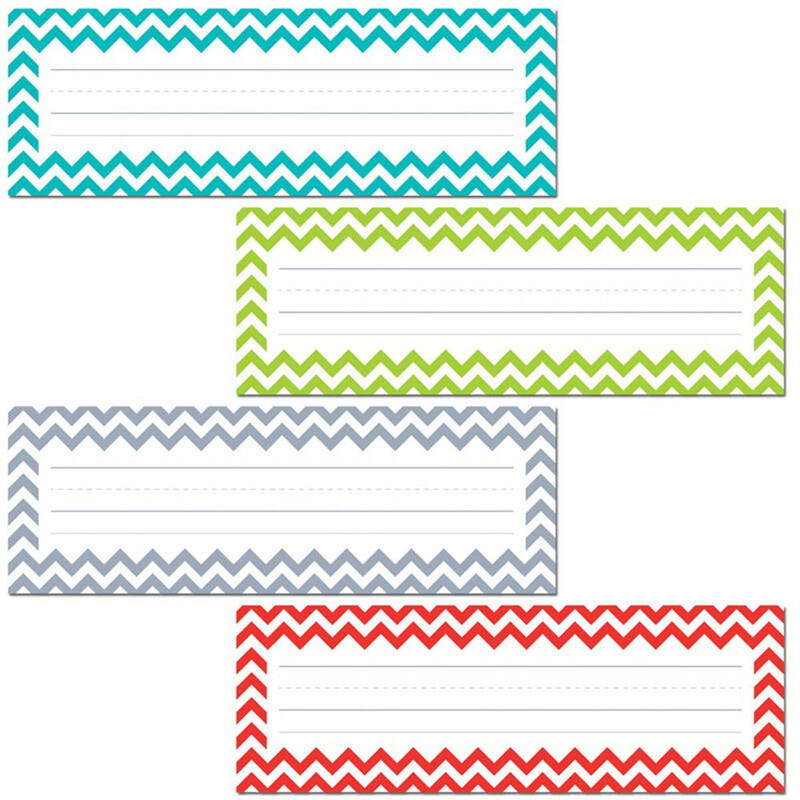 36 name plates per package 9 each of 4 colors 9 ½" x 3 ¼" See more products from the popular Chevron Collection. 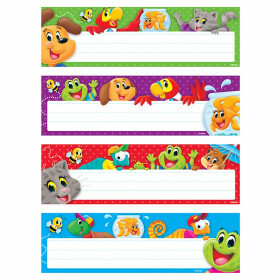 See all of the Creative Teaching Press products we carry in our classroom supplies manufacturer section. Looking for something similar? View our Name Plates or Discount Teacher Supplies sections to find more classroom supplies items similar to Chevron Solids Name Plates. 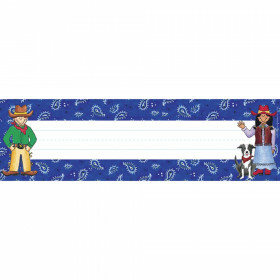 This item may also be listed in our educational supplies store catalog with item IDs CTC4517,9781621865445.